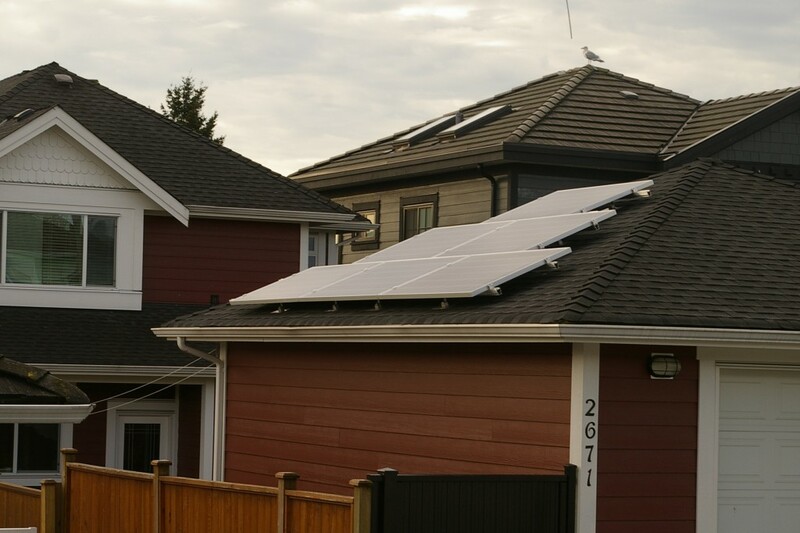 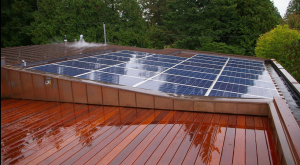 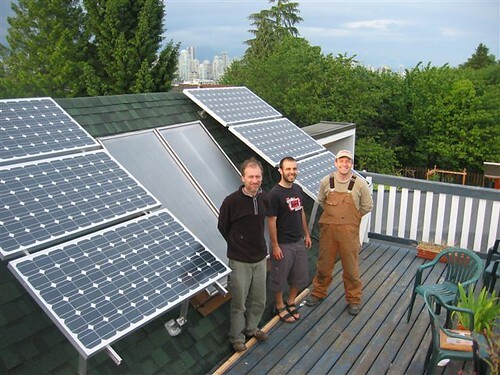 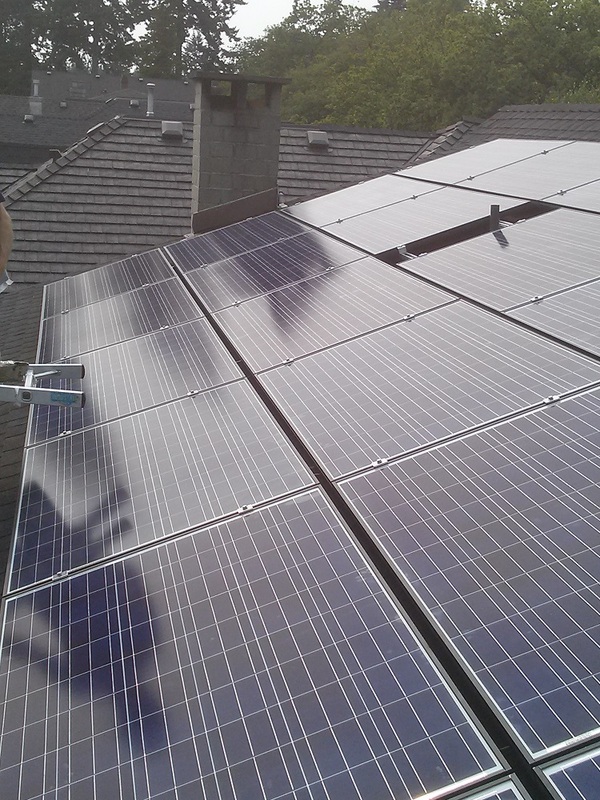 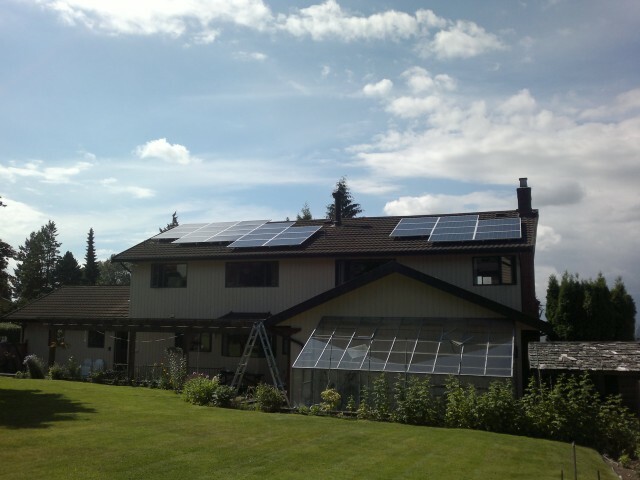 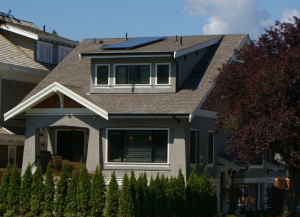 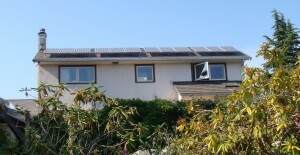 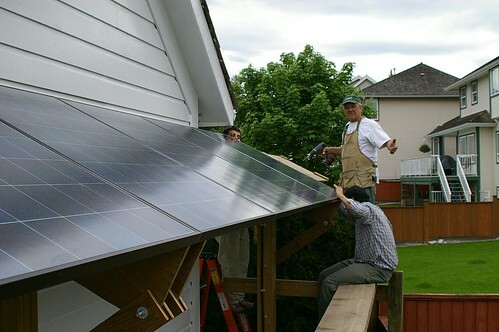 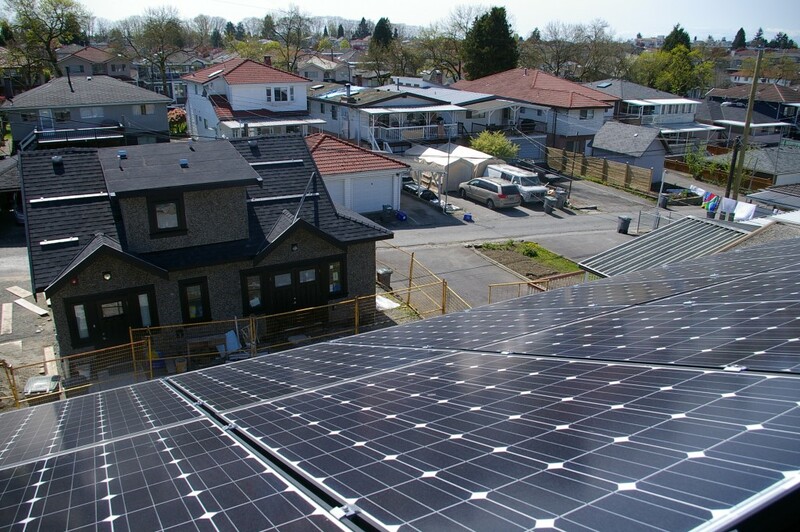 This installation included two main photovoltaic arrays (one on the house and one on the garage), a solar hot water system, and a solar pool heating system. 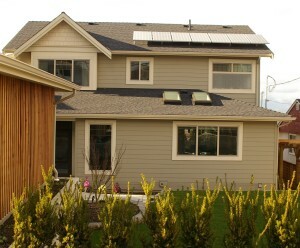 View online data for output from house system. 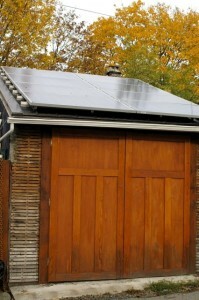 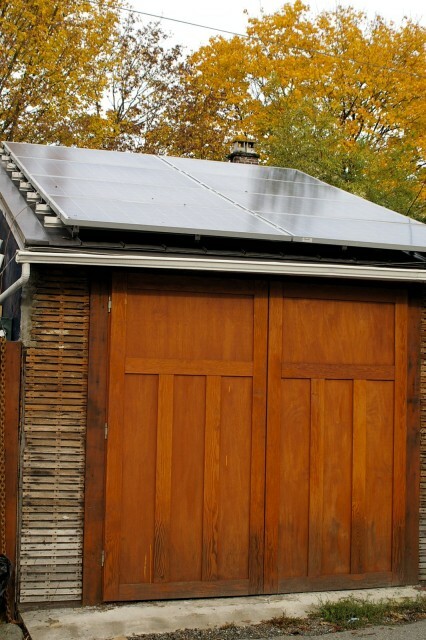 View online data for output from garage system. 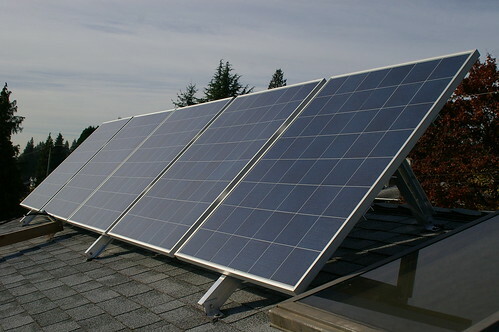 View online data for output from this system. 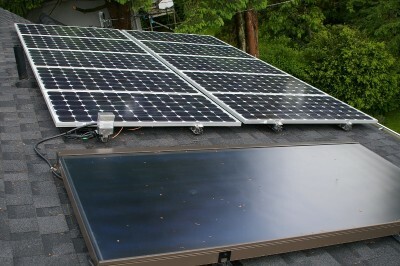 Production from this system can be viewed here. 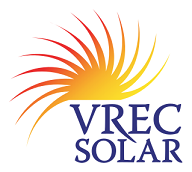 Production can be viewed here. 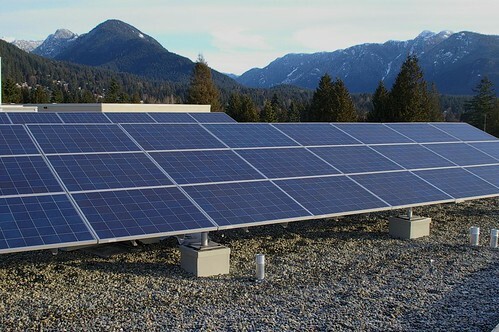 View production from this system online here. 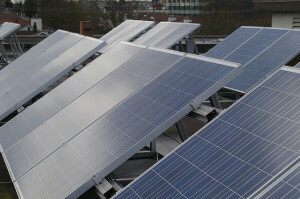 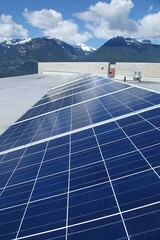 One of the largest photovoltaic arrays in the Lower Mainland. 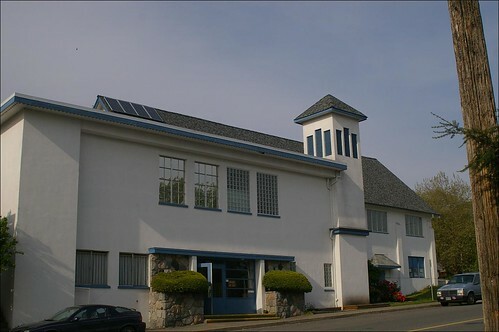 View production information online here. This business has reduced its electrical consumption by over 65%. 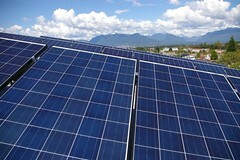 This site is designed to act as an emergency relief shelter during disasters with power supplied by the photovoltaic system. This system was primarily installed by the homeowner with assistance from VREC. 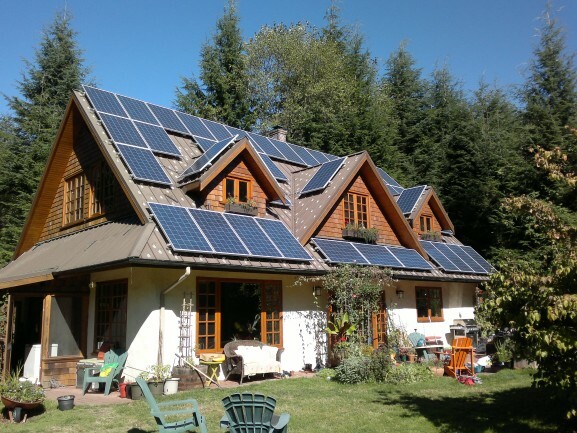 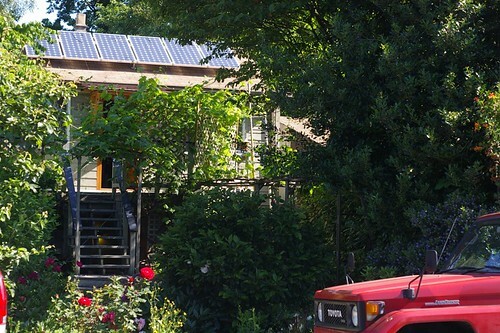 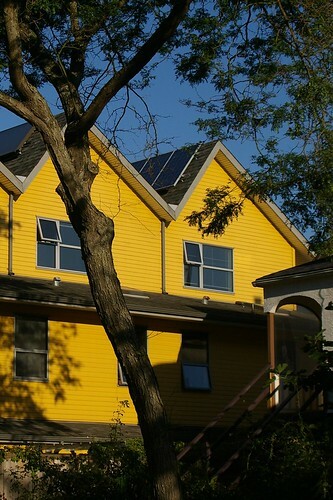 This home is net-zero for electricity. 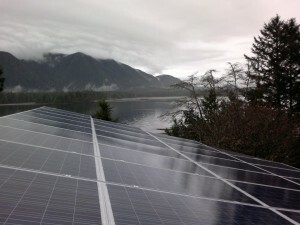 It gives back to the grid as much as it takes. 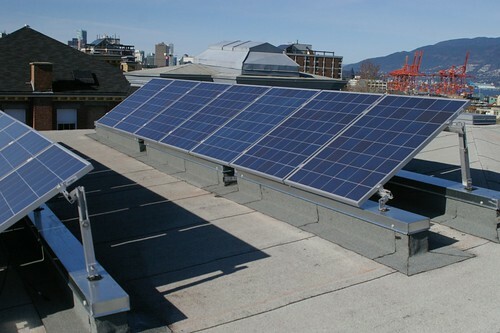 The first grid-tied system in the city of Vancouver. 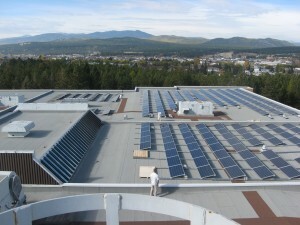 This building has 3 types of solar energy systems and hosts regular public tours.